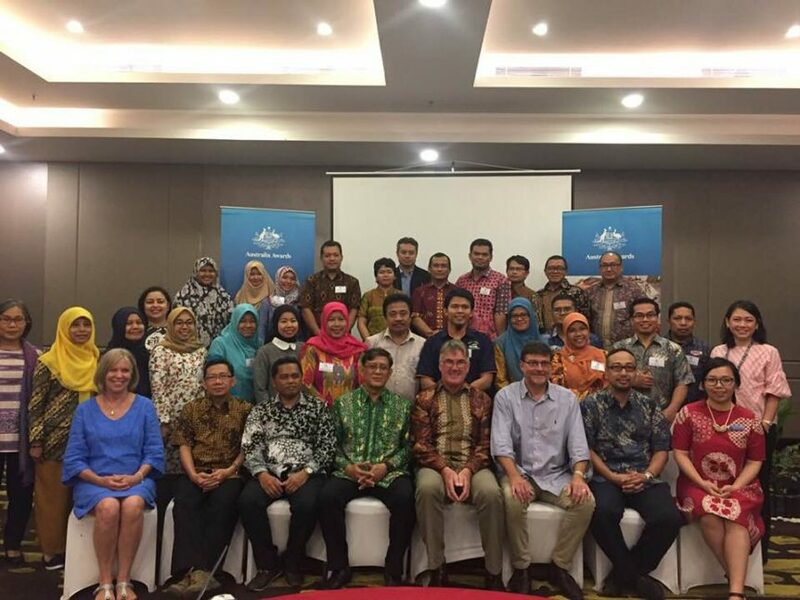 The final workshop for the Australia Awards Indonesia (AAI) program “Sustainable Aquaculture for Indonesia” was completed in Lombok, Indonesia February 2018. Twenty five Indonesian participants from Government (Ministry of Marine Affairs and Fisheries), the Knowledge Sector (Universities), NGOs (including WWF Indonesia), and the private sector presented the results of their individual projects. 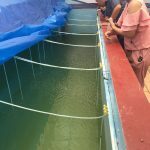 Project topics ranged from aqua-feed development/nutrition, spatial planning for sustainable coastal aquaculture, improved aquaculture systems, brood stock development, community development (including empowerment of women), integrated multi-trophic aquaculture, and aquaculture technology development. This reflects current priorities for Indonesia: human resource development, development of cost-effective (and sustainable) aqua-feed in Indonesia. 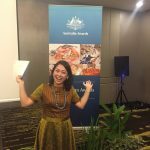 spatial planning for coastal development (including sustainable sea-cage farming integrated with intensive seaweed production), community development through cooperative action (particularly in Eastern Indonesia), and development of premium seafood markets (domestic and international) through improved supply chain management. 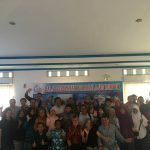 The workshop included a field visit to the Lombok Aquaculture development centre (one of four such centres in Indonesia together with Batam, Lampung, and Ambon). 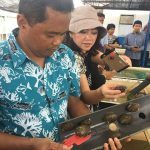 The Lombok aquaculture centre is developing seaweed culture and abalone culture: both outstanding development opportunities for Indonesia. Seaweed culture is growing rapidly but opportunities for value-adding remain under developed. Linked to abalone culture, seaweed offers prospects for new industry development particularly in Eastern Indonesia where employment opportunities are relatively scant. We also inspected fish farming linked to sustainable opportunities for sea-cage culture (including valuable species such as Grouper and Barramundi). Indonesia presents a powerful comparative advantage with abundant coastal waters across the archipelago and a potentially powerful workforce (empowered through education, training, research & development). This, and an existing and substantial freshwater aquaculture sector, offers opportunities for Indonesia to meet its policy aspiration of 12% growth in GDP from aquatic resource development. 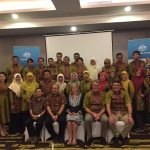 Australia is well placed to assist with well developed programs in training, education, research and development, and supply chain systems linked to Indonesia’s needs. This AAI initiative received the financial support of the Australian Department of Foreign Affairs and Trade (DFAT).